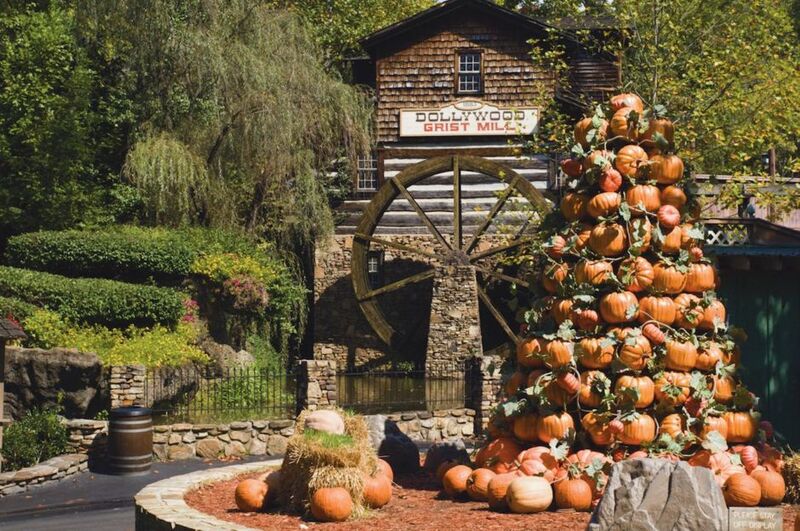 If you’re a fan of fall — the type that gives an open-armed welcome to sweater season, the chill to the air, an excuse for that second (or third) cup of coffee — you’ll be a fan of Pigeon Forge. There’s possibly no other place in the country that celebrates autumn as ferociously, and nature seems to follow suit. 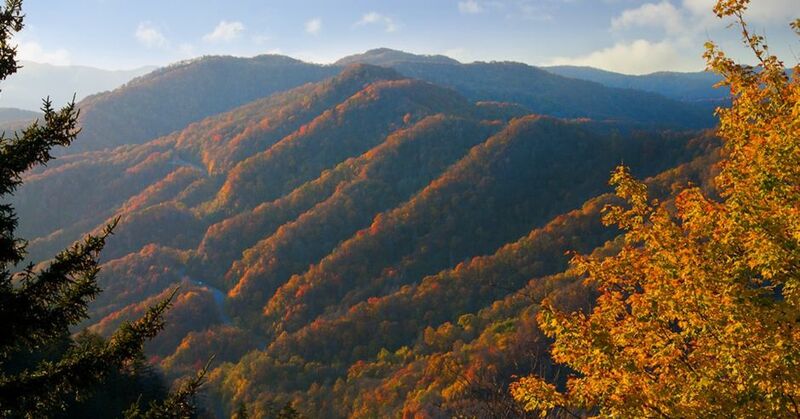 The nearby Smoky Mountains explode into HD, festivals usher in the season, and the crisp air is accompanied by an intangible excitement that comes with knowing the best time of year is finally upon us. If you haven’t been, it’s time to add it to your list. 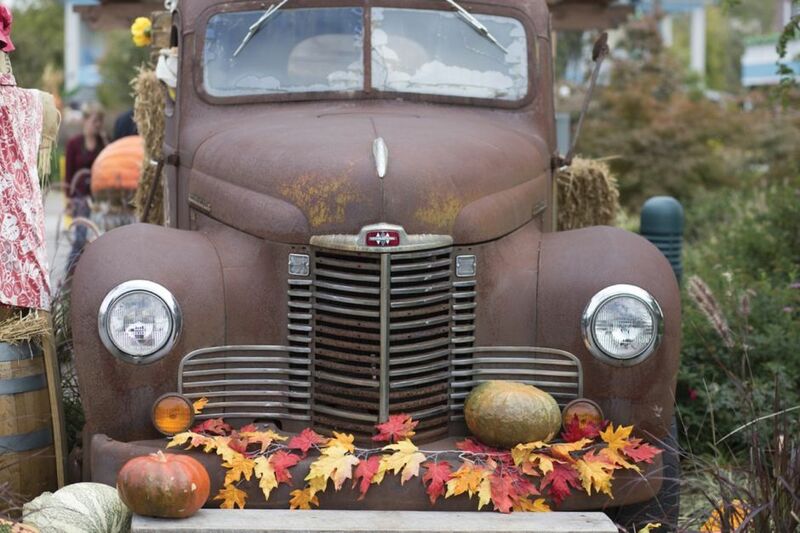 Here’s what fall is like in Pigeon Forge, in 18 awesome images. Great Smoky Mountains National Park explodes in color. Pigeon Forge sits just four miles from the entrance to Great Smoky Mountains National Park. Even in town, you’ll feel like the mountains are looming over you. And especially in fall, you can’t come to the city and not go to the most popular national park in the country. For starters, it’s free — one of the few mainstream national parks that can say that. Even if you have only a few hours, scoop the loop of Cades Cove, or just find a nice spot to pull over and picnic (more on scenic hikes and drives in a bit). Night falls on the Parkway. When you enter Pigeon Forge for the first time, odds are you’ll hit the Parkway. It runs for five miles along the Little Pigeon River, and nearly every foot has something to add to your list — local shops, wax museums, theme parks, pancakes (lots of pancakes), you name it. Nab one of the dozens and dozens of hotels here if you can, park your car, and you’re already in the heart of everything. Pro tip: There’s a trolley that goes up and down the Parkway for 50¢ a ride, escorting you to and fro, making getting around a breeze. The entire town gets decked out. When they say fall explodes in Pigeon Forge, they’re not just talking about the leaves on the trees. 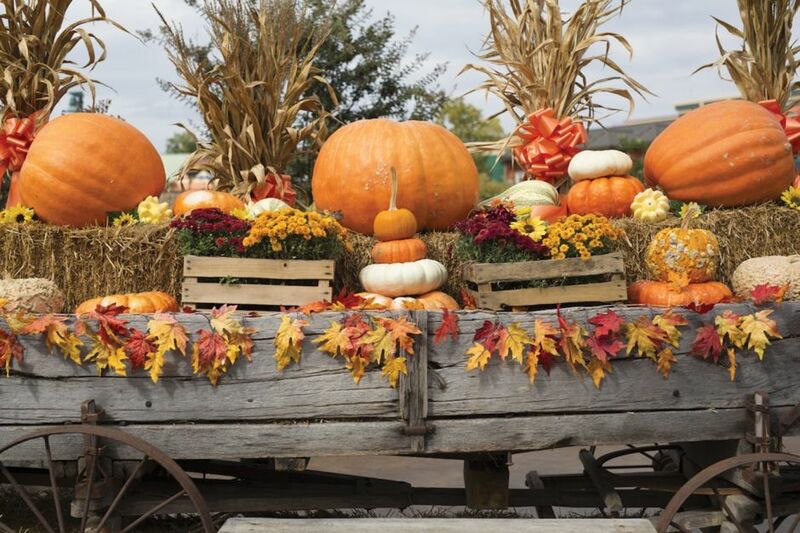 Storefronts, streets, restaurants, sidewalks — everything is decked out in an array of reds, blaze oranges, and golds, and there’s always an impressive display of gourds somewhere nearby. 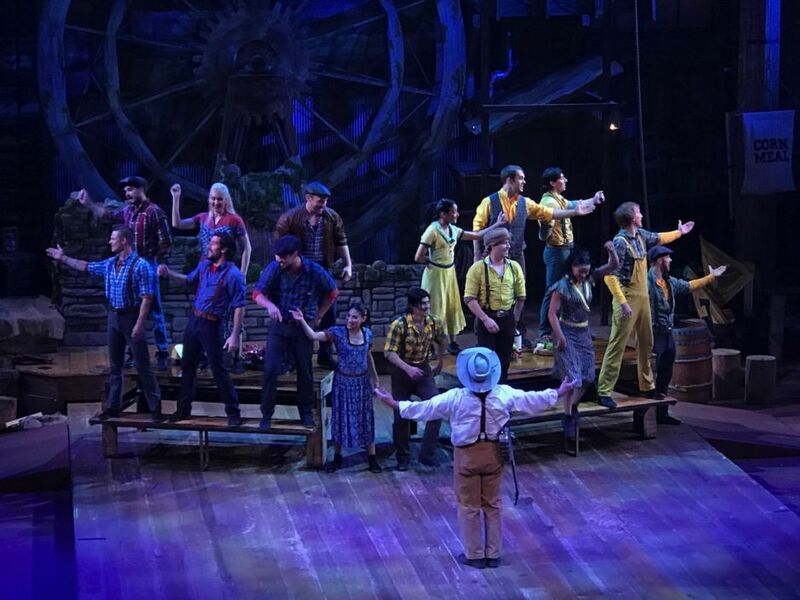 The weirdly good combo of maple syrup and live music can be found in abundance, funnel cakes get churned out in the hundreds at harvest festivals, and Dollywood gets dressed up to the nines, to the surprise of no one. If you thought ringing in fall was relegated to breaking out your first sweater while drinking a PSL, it’s time to dream bigger. The hiking gets even better. If it’s waterfalls you’re after, check out Laurel Falls, a quick 2.6-mile round trip. It’s paved for the most part, and there’s tons of laurel and rhododendron thickets along the way. The Alum Cave Bluffs Trail is also super popular, with views about as impressive as they come. It’s just over five miles long round-trip, and parking can be found on Newfound Gap Road. There’s history here, too, as the trail was used back in the day when mining for epsom salts was a major industry. Remember how we said Pigeon Forge has a bit of everything? That was no joke. Hit up Iron Mountain Metal Craft, and you could leave with a knife you just made yourself. We’re not kidding — score a knife lesson here, and you’ll be forging the blade, hammering the red-hot steel, and twisting the handle to make your own. 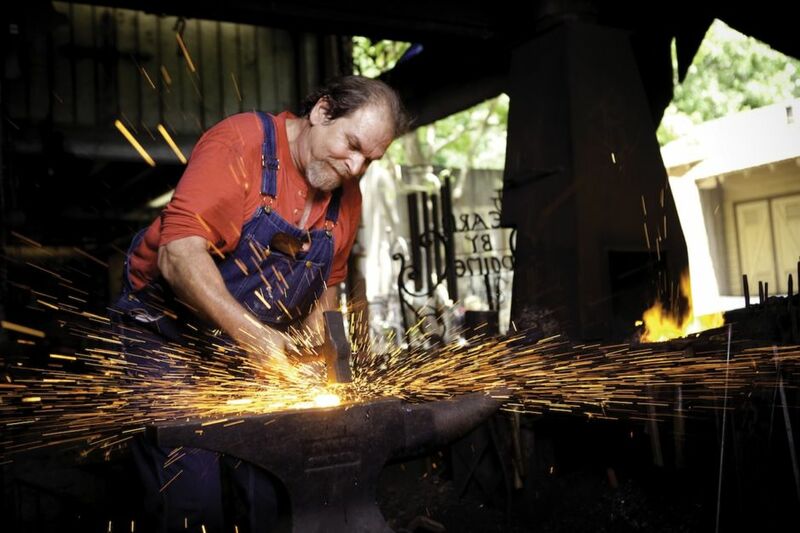 If it sufficiently whets your whistle, you can move on to general blacksmithing lessons. …and the calendar fills up with shows. There’s live music coming from nearly every nook and cranny of the city, but sometimes you want to get off your feet and relax in a plush velvet seat to take in some spectacle. 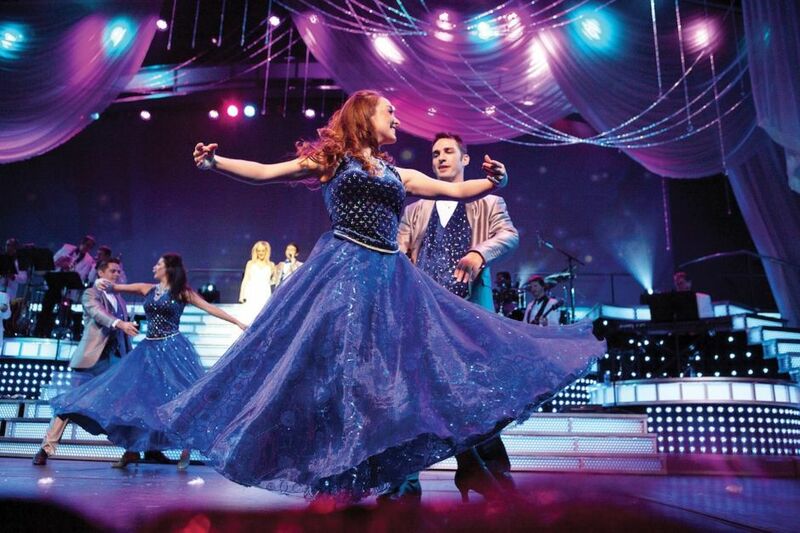 Pigeon Forge always has a calendar full of a wide variety of shows, including comedy acts, skits, themed competitions, magic tricks, and live music. There’s a little bit of everything here, and the performers are legit. Also, don’t forget about the family dinner shows that are available, where you can satisfy family hunger and enjoy a solid show at the same time. No matter which you choose, you’ll definitely walk away entertained. The scenic drives are unbeatable. 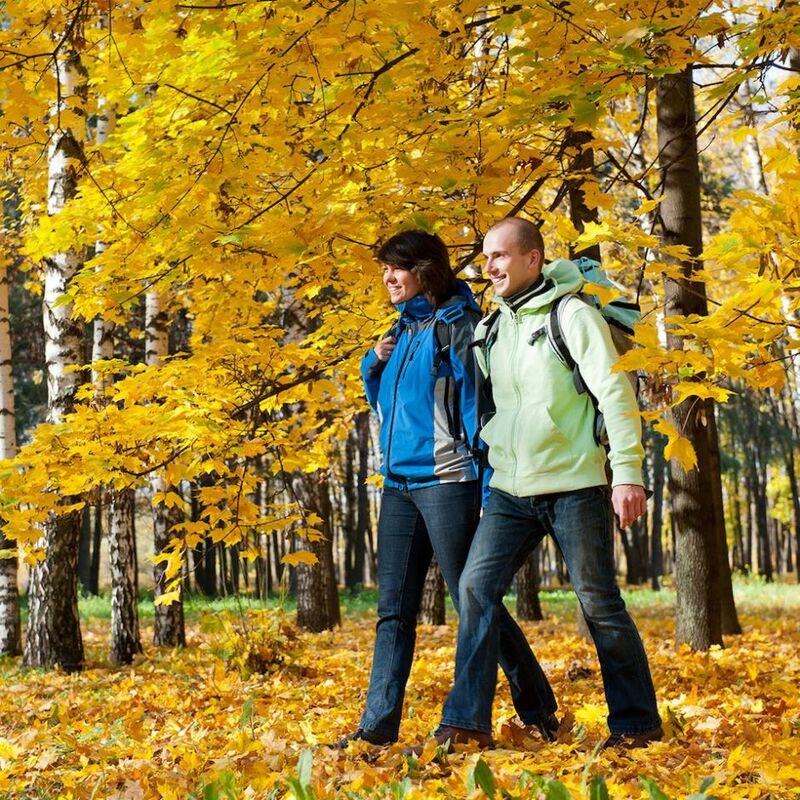 Roaring Fork Motor Nature Trail – It winds through the forest, past log cabins and grist mills, for a quick 5.5 miles. If you don’t have much time, this is the way to go. Upper and Lower Tremont Road – This is where you’ll get the views that are probably in your head — serene waterfalls, foliage wherever you look, etc. But once you see gravel, that’s Lower Tremont Road, where most visitors stop and turn around. Hint: Don’t. It’s where the benefit of solitude really hits. Cades Cove Loop Road – It’s 11 miles, but with a 20mph speed limit and a million things to see, plan for a few hours. You’ll spot wildlife all over the place, and a number of historic structures will make you stop, too. This route is pretty popular, so be prepared for traffic. 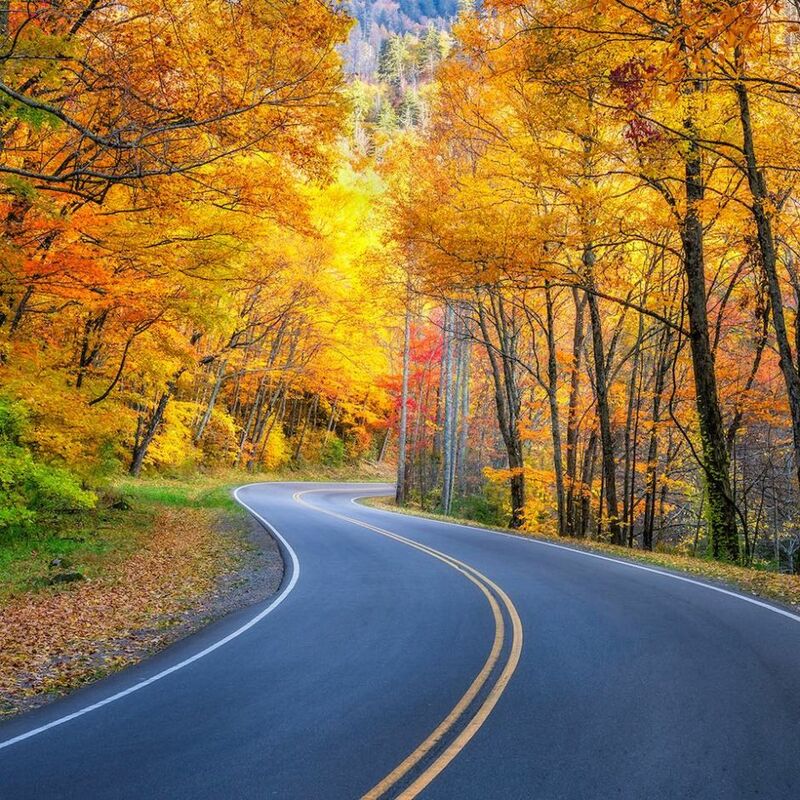 Newfound Gap Road – This one goes right through the heart of the Smokies, snaking along 31 miles of pine, hardwood, and fir forest. Bring a jacket if you plan on getting out of the car — it can be a bit chillier here, topping out at 5,046 feet. Word to the wise: You won’t find any gas stations within the national park. Be sure to fuel up first. And your autumn home is right nearby. This can be taken two ways. Number one: If you live in the eastern US, odds are Pigeon Forge is within a day’s drive of where you live. 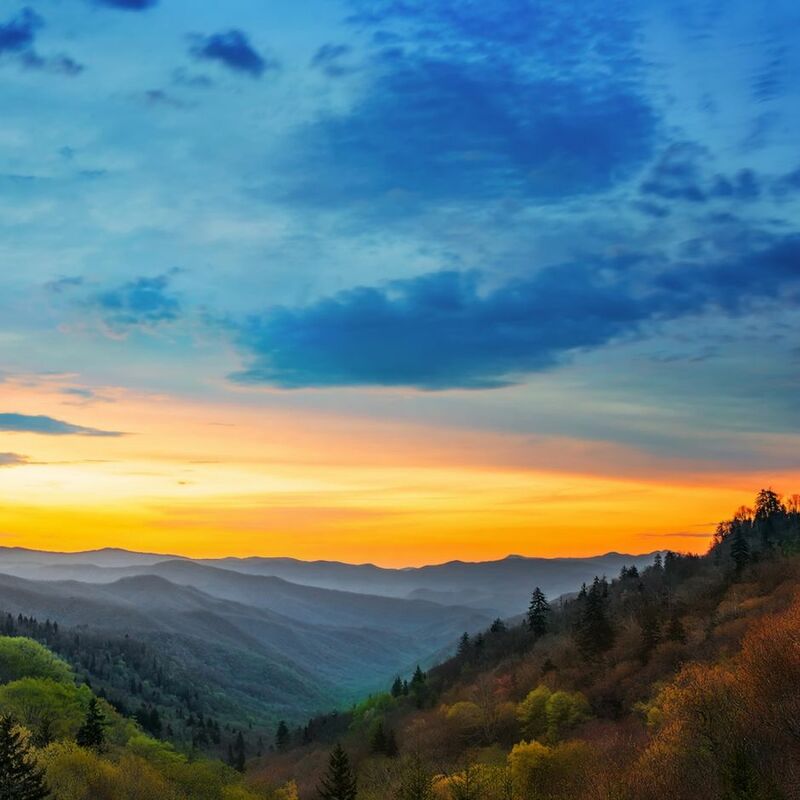 No wonder Great Smoky Mountains National Park is the most popular of the 59 — in fact, it sees roughly twice as many visitors as the second-most popular, Grand Canyon. This is the ultimate American road trip. 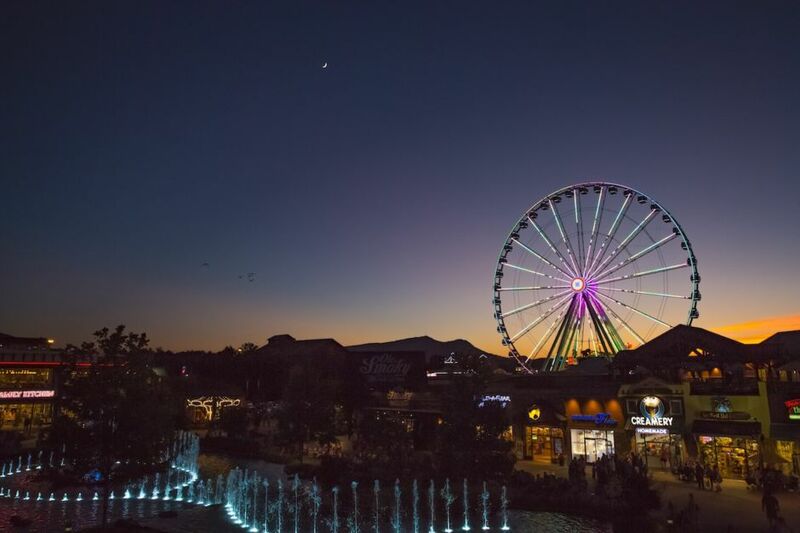 Number two: Regardless of whether you’re camping, trying out RV life, staying in a hotel, or renting a cabin, Pigeon Forge has the small-town charm that will make you (and your family) feel at home. Put yourself here, minutes from the action, right inside the best fall has to offer, and watch your ultimate American road trip unfold. This post is proudly produced in partnership with the Pigeon Forge Department of Tourism.